It would be handy, but what would I take out? If I take out Heroic Intervention then I lost my only protection. Taking out Harmonize won't work because I need to be able to get to my ramp. Anything else I could take out ( Endless One and From Beyond ) almost renders the card useless, as then it could only get Spawnsire of Ulamog and lands. 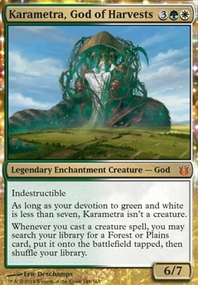 It puts anything ramp on the bottom as well because all of my mana ramp in order to activate Spawnsire of Ulamog is green not colorless. Harmonize is a pretty great draw spell if you just need the raw card draw. I didn’t realize that’s most of what you needed. 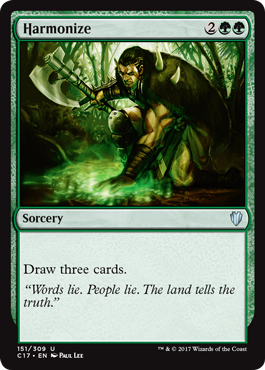 I am not sure as to what you mean is the significance of Renowned Weaver , but how about swapping it for Druid Lyrist or Elvish Lyrist ? Inner Calm, Outer Strength would be more useful in a deck that has card draw. 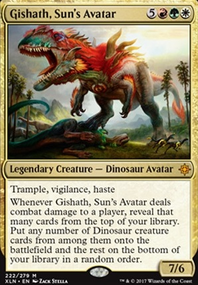 I am sure you did not include cards like Harmonize , Sylvan Library , and even Mirri's Guile because Yisan is an effective tutor; but that just means the spell might just be an expensive Giant Growth . Might I suggest Heartwood Storyteller ? 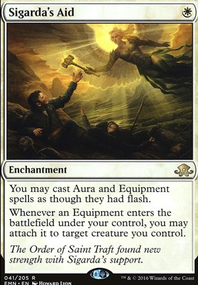 Sure you may have plenty of noncreature spells that could draw your opponents cards, but it has the same flavour as a bard; and in a four player game, no hands will go empty. hejtmane and abby315 mentioned some good ones too! There's ammo to work with! I hope you'll check out my gruul deck! Have fun! I know that they aren't allies, but you could consider Champion of the Parish and Thalia's Lieutenant seeing as how most of you allies are humans. You could use Tireless Tracker if you needed some card draw as well. Harmonize would work as well. 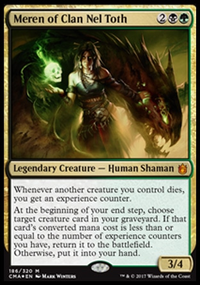 In a deck like this I like Dromoka's Command just because of the sheer versatility it gives me. 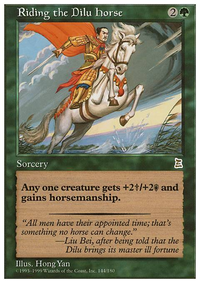 I have a deck similar to this: Thalia's Horde of Humans. It uses +1/+1 Counters just like this deck, except it uses Human synergies as apposed to ally synergies. There are a bunch of cards mentioned in the comments that might help you. If you need another perspective, I'd suggest going to OOBS. He has probably the most popular humans deck I've seen on TappedOut.